Harajuku (原宿) refers to the area around Tokyo’s Harajuku Station, including Meiji-jingu, Takeshita Street, Omotesando to Yoyogi National Gymnasium. 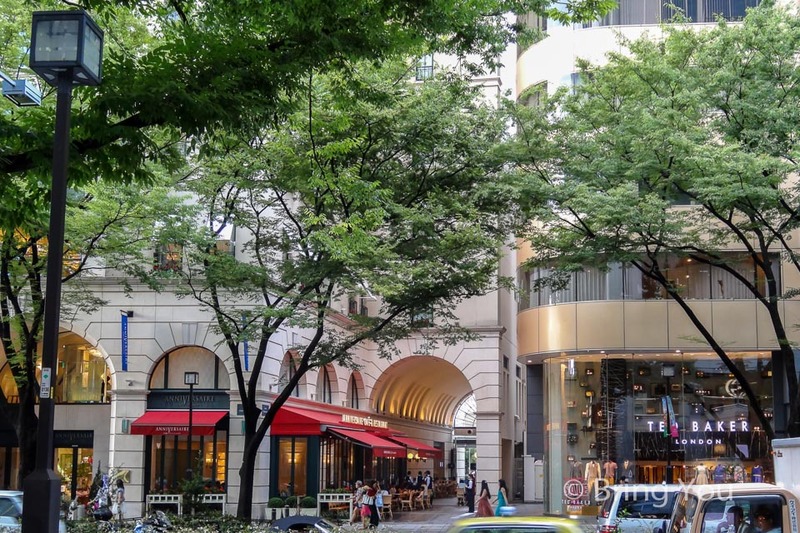 If we start from Takeshita Street all the way to Omotesando and Aoyama, you will experience Tokyo’s youth cultures and fashion to haute couture brands and cozy coffee shops, finally to an area full of art. Standing at the top of Takeshita Street, we were overwhelmed by the intimidating crowds in this car-free street, it was just 10:00 in the morning, but the street was already full of teenagers cladding in bizarre costumes. We jostled our way in the crowds, to the crisscross of Omotesando, and soon noticed a department store with vendors hawking their wares, clerks shouting in megaphone to attract people’s attention to their discount of 50% off the sale price, we wove our way through the crowds and felt shocked on the spot, after strolling the streets of Tokyo for more than a week, there was nowhere else like Harajuku in the rest of Tokyo, so boisterous and crazy! Walking out of the bustling street to Omotesando, we finally got a moment to take a breath, Omotesando was a sloping, tree-lined street, along with haute couture brands like Ralph Lauren and Hugo-Boss store, Tokyo’s most trendy strolled leisurely up the slope, or sat and chatted in the coffee shops, we sneaked into one coffee shop subsidiary to a florist’s shop, and enjoy the best afternoon tea we had in Tokyo. Enjoy a morning walk in Meiji-jingu. Located just beside the Harajuku station with a 5 minute walk, the road to the Meiji Shrine is a place of respect and serenity, lining up with ancient trees. The shrine is to worship the spirits of Emperor Meiji and his consort, Meiji shrine welcomes the largest amounts of prayers which is more than three million visitors in the first day of the New Year, and is the place for traditional Shinto wedding, if you visit in Sunday morning, there’s chance to see a traditional wedding procession, we watched the bride and the groom in traditional costume taking pictures with their family, then took a serene walk through the forest areas in the Meiji park. Since this post is written for more about shopping, pls check out A quick go through Meiji-jingu via photographs for more about Meiji-jingu. Experience the youth culture and the cosplay in Takeshita Street. Visit Harajuku on Sunday, there are many teenagers wearing cosplay costumes walking in Takeshita Street, a very weird culture you won’t see in the the rest of the world , but quite ordinary to youngsters in Japan. Girls wear like a maid or dress like an anime character with colorful wig, they walk on Takeshita street with confidence while tourists observed them with curiosity. Experience the yelling sales in Laforet harajuku. Laforet is on the intersection of Harajuku and Omotesando, you will notice it from its colorfully decorated balloons outside the building, and the loud yelling for discount is conspicuous far away from the street. It will be a very impressive shopping experience. 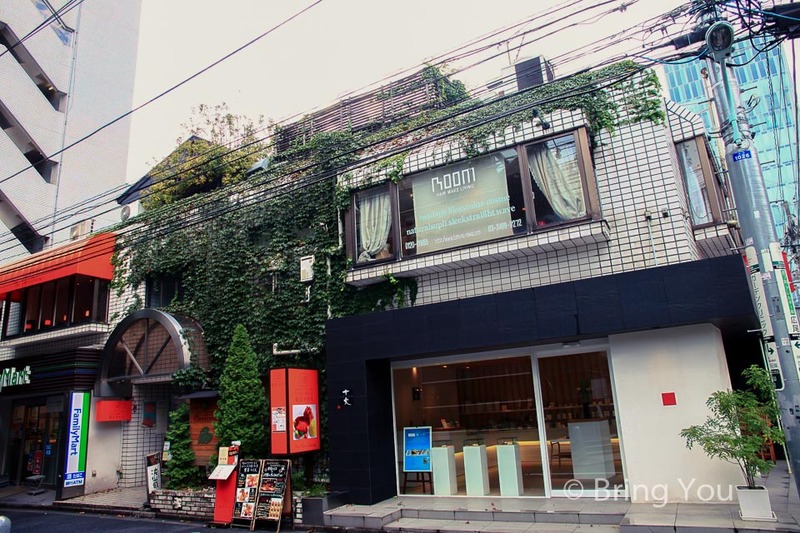 Find one coffee shop or tea shop in Omotesando or Aoyama, and relax for an afternoon. 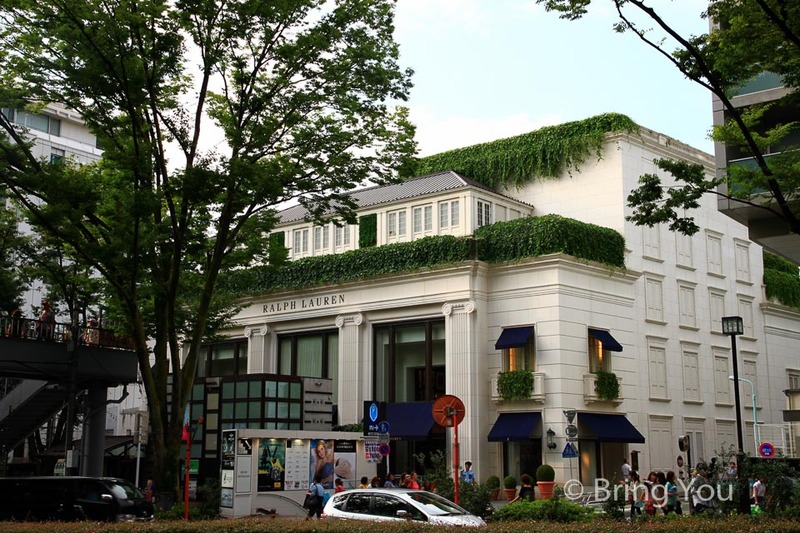 There are many fashionable coffee shops in Omotesando and Aoyama, these areas are built for coffee shops,the trees line alongside the avenue, take a nice and leisure walk, then sit for a cup of coffee, wonderful! Laforet harajuku in Harajuku. I was surprised when I walked into this building, I have been in Tokyo for more than 7 days, and this was the only place I heard people yelling everywhere throughout the building. Sales! Sales! Only 50% off, and I saw teenagers weaving in the crowds for clothes, shoes, and all the cute accessories, it would be a paradise for me if I was still 18. LIZ・LISA. I saw many Japanese girls dressed every cloth I saw in Liz Lisa, and it was the most crowded shops in Takeshita Street, their style was a bit too much dreamy and pink, like you were a princess, but it seems so normal for teenagers to dress like this in Tokyo. Samantha thavasa on Omotesando. Japanese-designed bags, very fantasy and bright-colored bags for young girls. Almost all office ladies in Tokyo hold one Samantha thavasa. Try out every snacks teenagers in Tokyo like. Calbee カルビープラス . 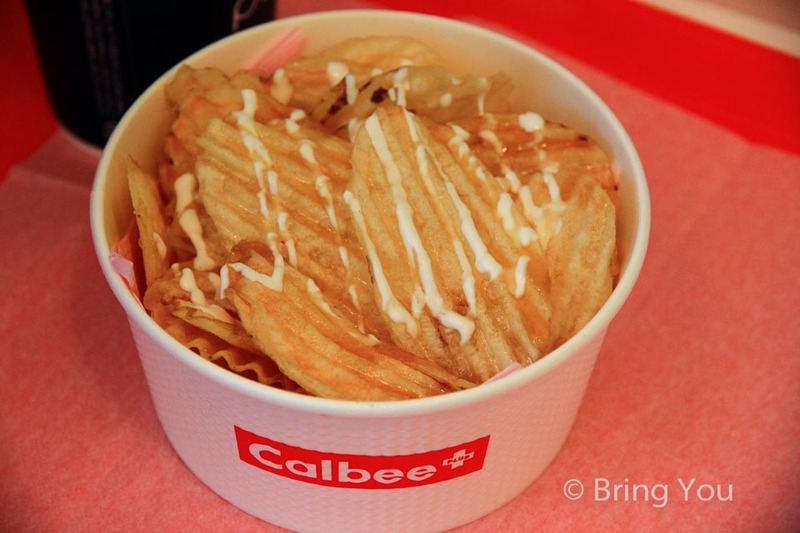 Potato chips and french fries are their most popular items, you will see almost all the teenagers on the street holding one cup of Calbee chips. MARION Crepes. 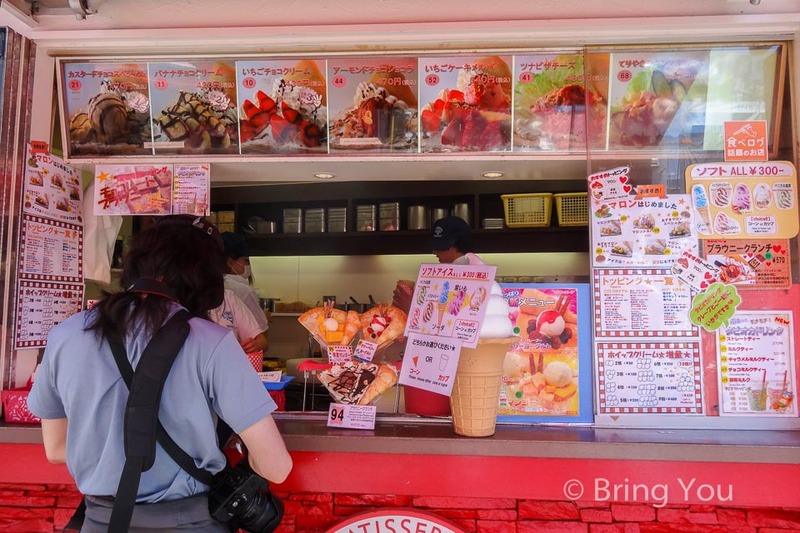 There are two shops selling crepes, it’s cheap and delicious. 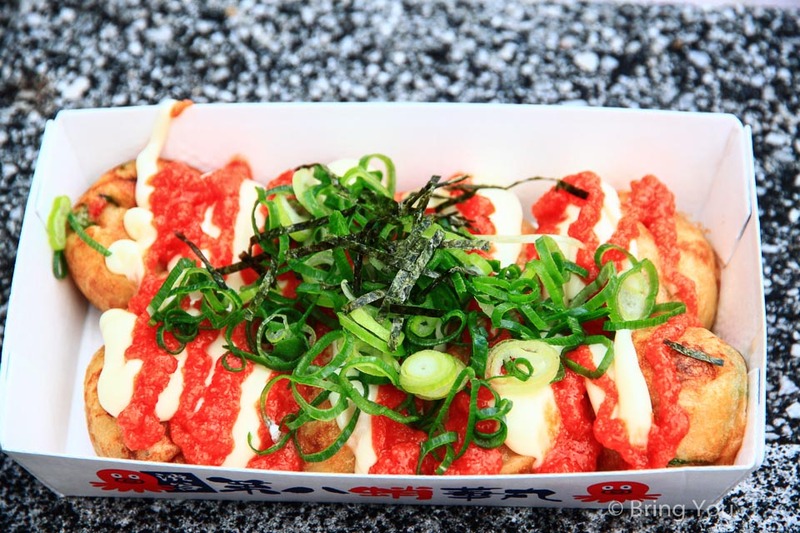 Takoyaki（octopus balls）. Famous octopus in Tokyo, the flavor is different from Kansai region(west border of Japan). The size of the octopus balls are unbelievably huge, it’s better to share with your friends, or there will be too much for you. Aoyama Flower Market Tea House. A tea house operated by a flower shop, the tea is made from the flowers they grow, very natural and good tasting, food are also fantastic, I think it’s one of the best place in Tokyo to enjoy an afternoon tea. It’s still 10:00am in the morning, the Takeshita street was full of people. It was hard to see teenagers in the rest of Tokyo, I thought they spent most of the time study? But in Harajuku and Shibuya, it reminded me there were still youths in Tokyo, not just the white shirt men with standard black briefcase. 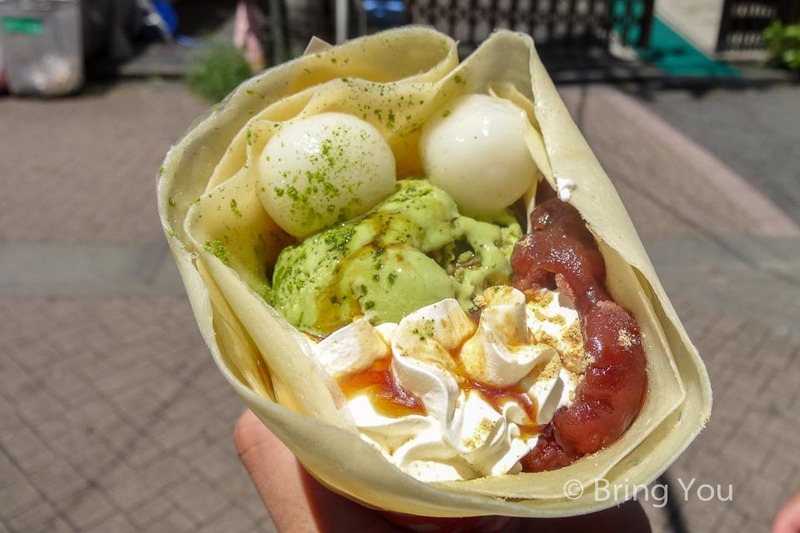 I tried the popular matcha flavor with adzuki beans, the matcha and everything else were good, but I personally didn’t like the crepe, it was too soft, a crisp crepe is my favorite way of crepe. Almost all the teenagers hold a cup of this potato chips, I tried, and let me tell you about it, if I were still young, this would be my favorite, however I am not. 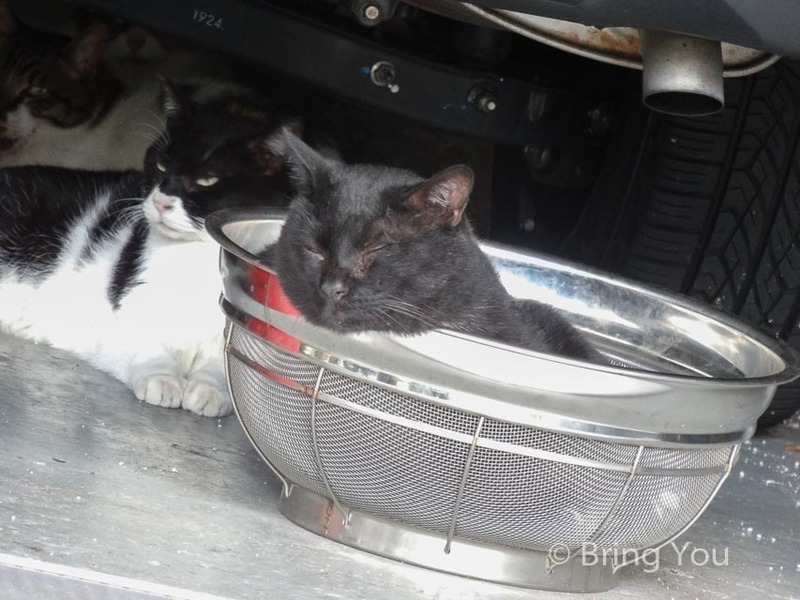 Cat Street is the small pedestrian street leading from Harajuku to Shibuya, a 15 minute walk would take you from Harajuku to another teenage’s heaven. 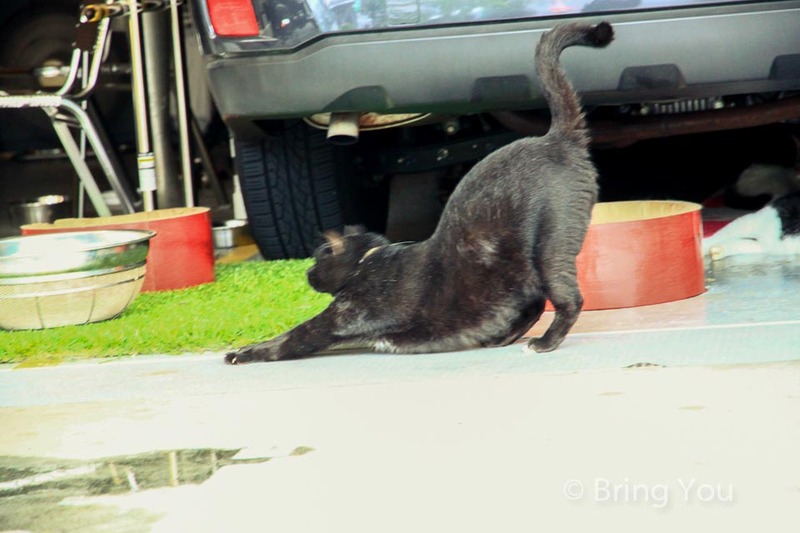 I am not sure if the name comes from the gathering cats inside the street, but I did see lots of cats. And there are many flagship store of Japanese fashion brand and cozy coffee shops lining on the street. 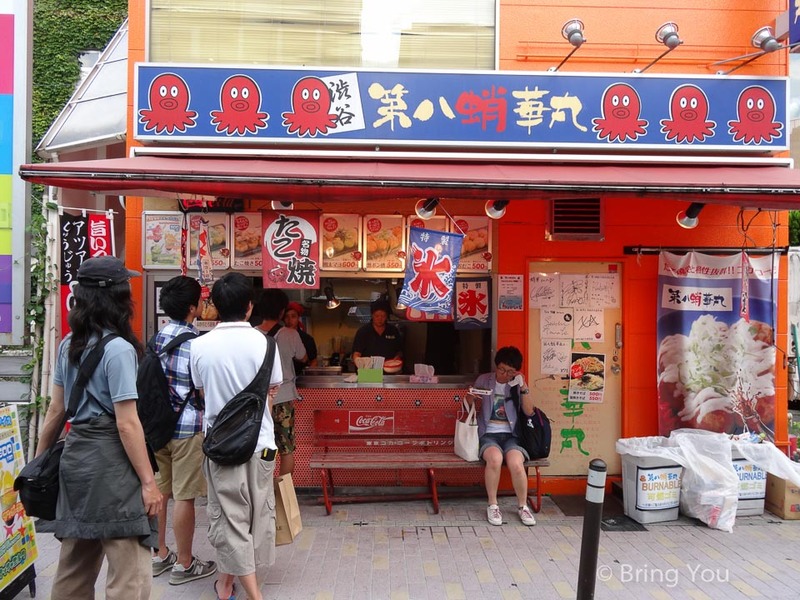 The famous takoyaki（octopus balls）in Tokyo. 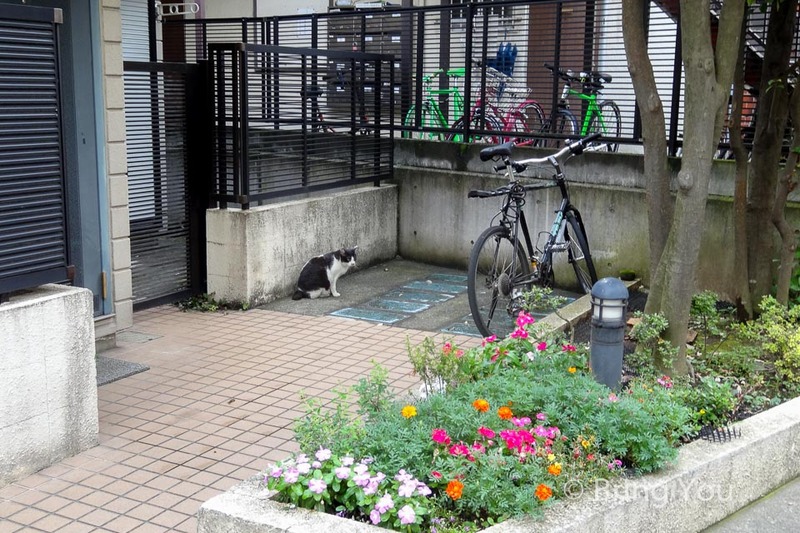 You can easily find it once you walk into the cat street. I ordered a cod roe flavored with red pepper sauce flavor, the first three bites were amazing, but then it becomes quite greasy for me. They put the Himalaya Mt. and Fuji Mt. together on the sign. 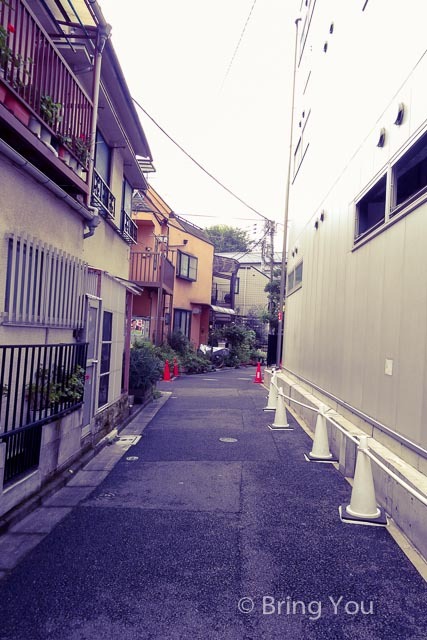 I like strolling around the small street while traveling. In Japan, they put their family name on the entrance door. Inside the lanes of cat street were the residential area. 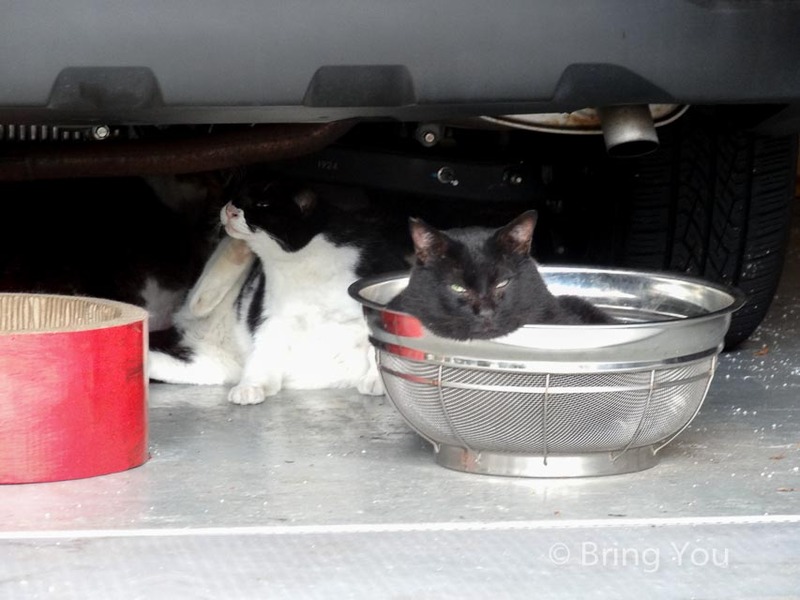 I found the cats in cat street. 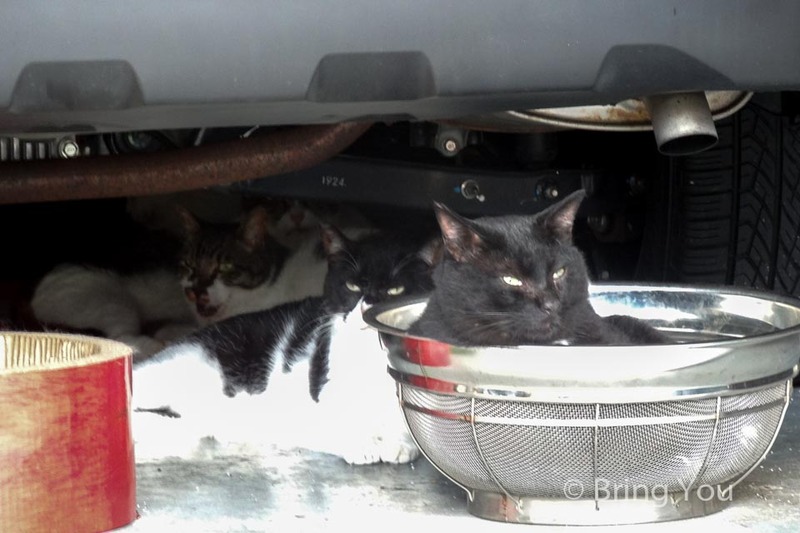 There were more than ten cats hiding under the car. Fat cat sleeping in the basket. 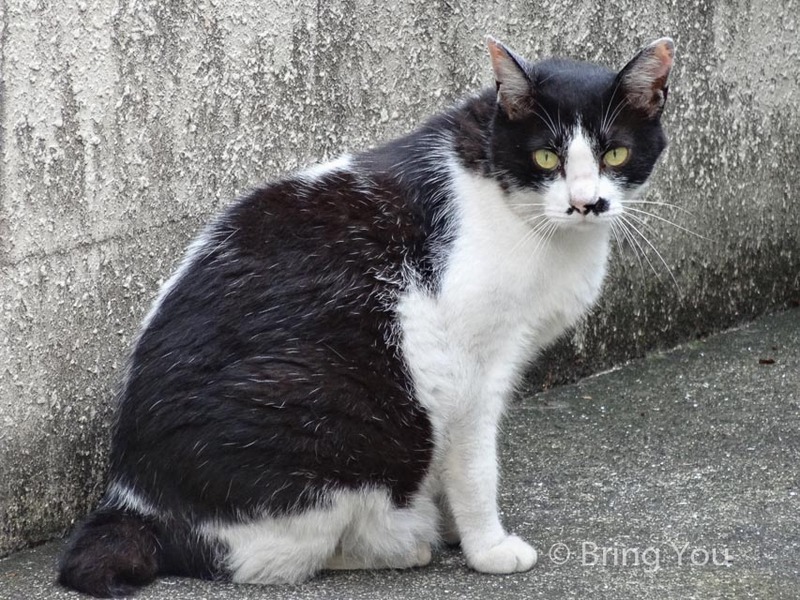 There were many hair salons in cat street. A cute coffee shop in cat street. Samantha Thavasa, very famous bag brands though out Tokyo, you would find all the office ladies in Tokyo have one of them. 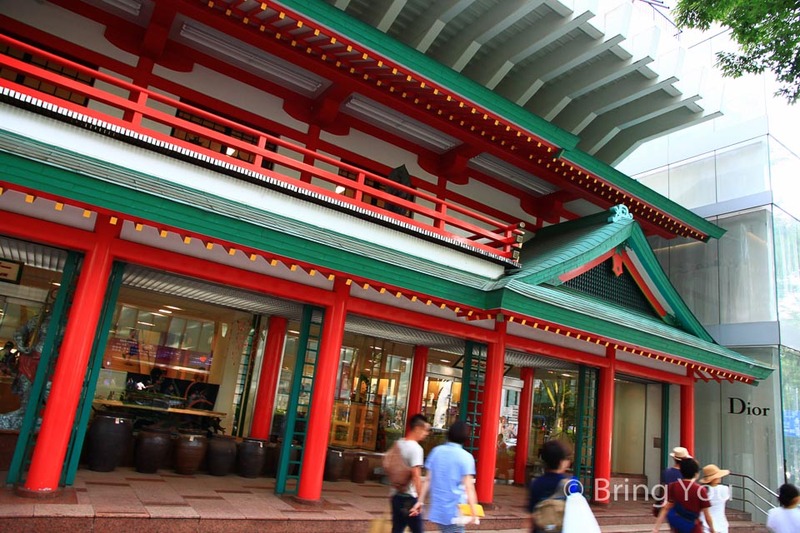 Where you can buy souvenirs like handkerchief and Japanese style fans. Located at the intersection of Harajuku and Omotesando, Tokyu Plaza is worth visiting for it Mind-Bending Mirror Entranceways, which mirror the street view and pedestrians on the Harajuku street. Walk along the Omotesando Avenue pass the Omotesando is the adjacent Aoyama areas, more and more fashion stores and coffee shops are open in this area, the buildings here are an art. 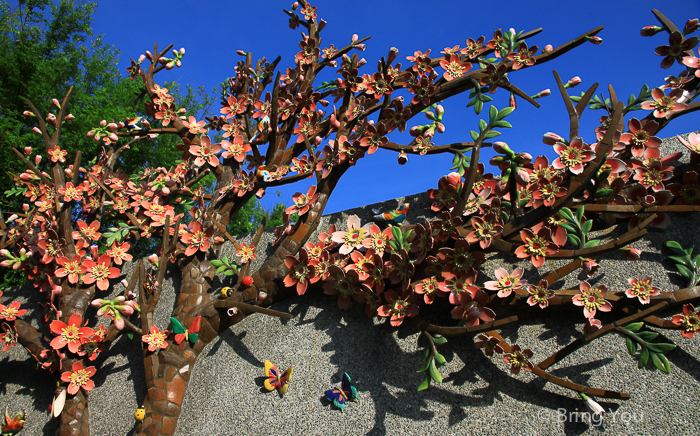 Have you been to above places? I would like to hear your experience.